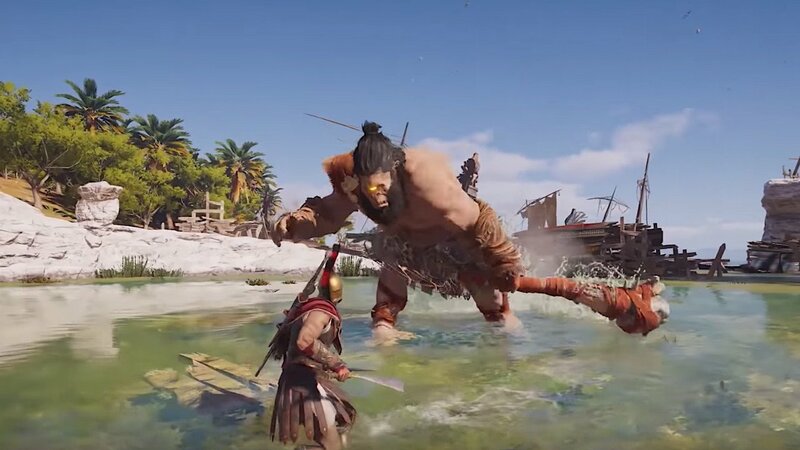 Ubisoft said that it would be supporting Assassin's Creed Odyssey for a long time to come, and it's already off to a good start. Another update coming this month is visual customisation, which allows players to customise the look of each armor component. Instead, it's new post-launch content like today's which is aimed to keep players hooked. The second Lost Tale of Greece, Divine Intervention, will have you meet a mysterious woman who will test your qualities through several divine trials! These quests will become available to players after they've reached Episode 5 in the main story campaign, according to Ubisoft. Sargon will also be updating his stock with two new, exclusive item packs in November: the Odysseus Pack, and the Odysseus Naval Pack. A new mythical creature, Steropes the Cyclops, will be waiting for you in its lair on November 13th. More Epic Events are in the works as well featuring Epic Mercenaries and Epic Ships, for those over level 30. The current max level 50 will be extended with another 20 levels to 70. All with new rewards for defeating them. Beating the Cyclops will be a high-level challenge, and if you succeed, you will be rewarded with a legendary bow. Detailed statistics have also arrived to the game, showing a lot of interesting and useful info on what kind of boosts, benefits and perks you get from your gear pieces. For those that have been stuck at Level 50 for a while now, any XP that you've earned will be converted into ability points when the update goes live, so you haven't wasted any of your time.